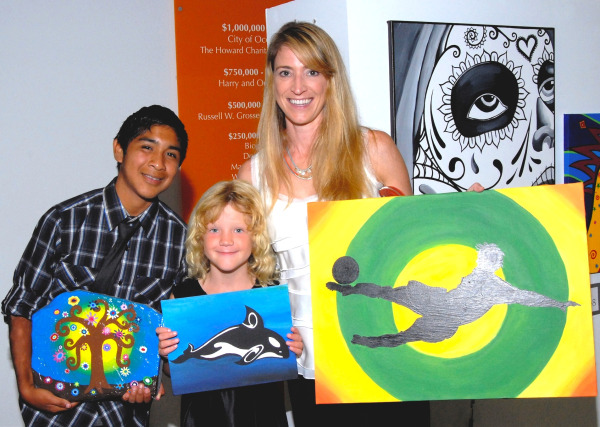 North County Lifeline hosted their annual event in September, It's Now! It’s Wow!, which raised $20,000! The proceeds went to North County Lifeline’s Crown Heights Youth Development Program, a place where youth find a safe haven after school, a mentor to push them as leaders, and the opportunity to dream for their future. Staff from Equation Technologies attended the event to show our support. North County Lifeline has been a client for more than 8 years and we are proud to be a part of their success as they continue to grow and provide more services to the local community. The picture below includes Erica Burles and her daughter Nora with the artist, Jesus, holding his wonderful piece. Drop-off Unused Grocery Store Gift Cards to be used for turkey, vegetables, and other fresh food items. Fresh & Easy stores in North County San Diego have $25 and $50 "Adopt a Family" gift certificates available for donation. A $25 Fresh & Easy gift certificate provides a Thanksgiving meal for a family of four. Every dollar and can of food makes a difference, thank you!